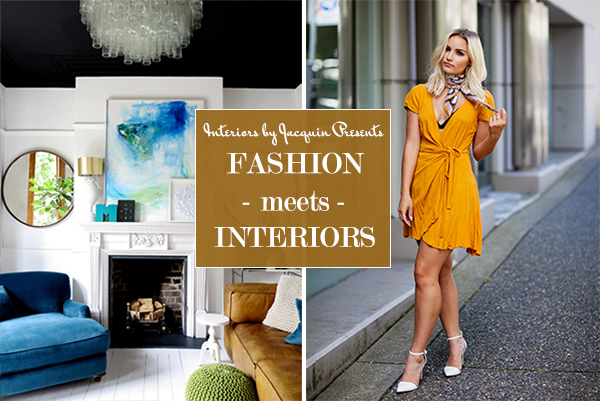 It’s time for my favorite series, Fashion meets Interiors, and today I’m featuring style blogger Morgan Gaston of blog Morgan Lillian. 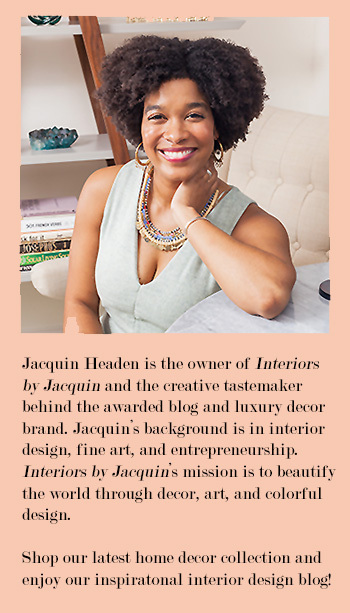 If you recognize Morgan, it may be because this is Morgan’s second feature on Interiors by Jacquin. You can check out her previous guest post where Morgan explores Spain here. (She was a brunette back then!) It’s great inspiration for your next European vacation itinerary. Now let’s get back to Morgan’s summer-fresh outfit inspired by this earthy & bold interior design. I must say that I love the mustard yellow shade of Morgan’s dress! Great color for our current transition from Summer to Fall. Hi loves! My name is Morgan Lillian and I do that whole blogging thing over at MorganLillian.com where my niche includes fashion trends, lifestyle, and travel. I’m based here in Seattle, Washington, a notoriously cloudy and misty place except during the summer, when it’s the most beautiful place in the country. Summers here truly make the rest of the year worth it. Less clothes, happy vibes, and being able to go downtown and sit on a patio somewhere sipping on a colorful drink are the reasons I live for summer (and live in Seattle!). When it comes to fashion, summer dressing brings the fun, color and creativity back into your wardrobe, as go-to winter shades like blacks and greys get pushed to the back of the closet. Bold shades like yellows, pinks, and oranges emerge, making summer the perfect time for style creativity. 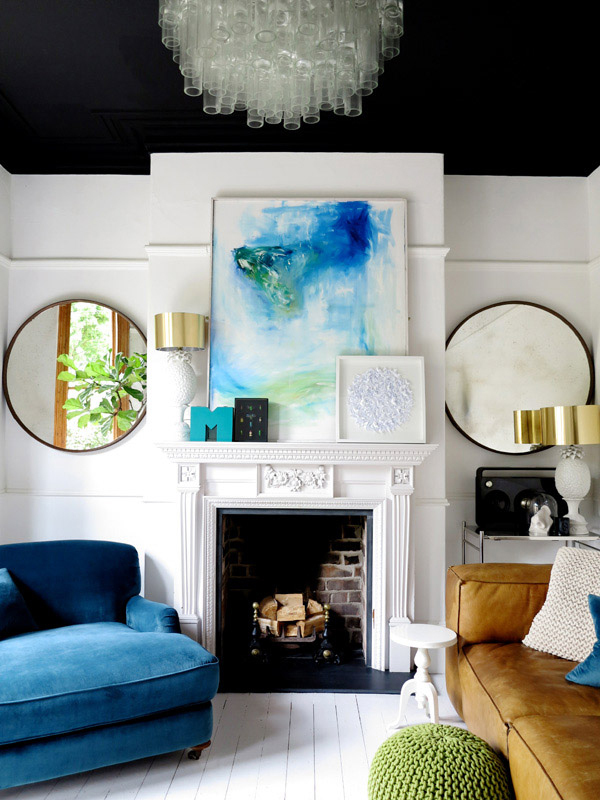 Looking at this interior, I was drawn in by the cool tones mixed with the leather couch. While the couch is mostly a distressed brown, there are some yellow undertones that I love which is where this yellow mustard dress was inspired. In further inspiration of this great room, I added a statement necktie with the colors white, blue, and mustard to pull everything together. Not to mention that a necktie is a chic way to bring your silk scarves into your summer wardrobe. My necktie today is prominent but allows the dress to stand alone, just as the leather couch stands alone, but not in solidarity. Learn more about Morgan over at her blog MorganLillian.com or visit her Instagram page. Until next time… Ciao!